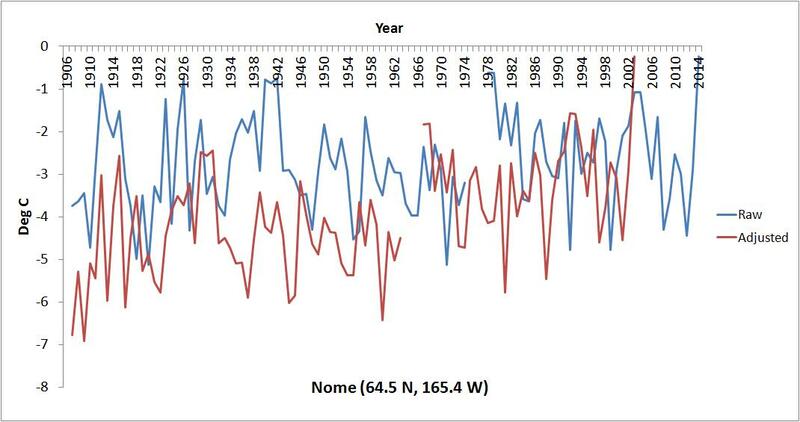 It’s no secret how the Anthropogenic Global Warming (AGW) cult “scientists” fool the uninformed into thinking man-made CO2 emissions are warming the planet – They alter the temperature data of the past. The evidence of this is hiding in plain sight and can be obtained by downloading the data to Excel and the instructions for finding this data are found here. 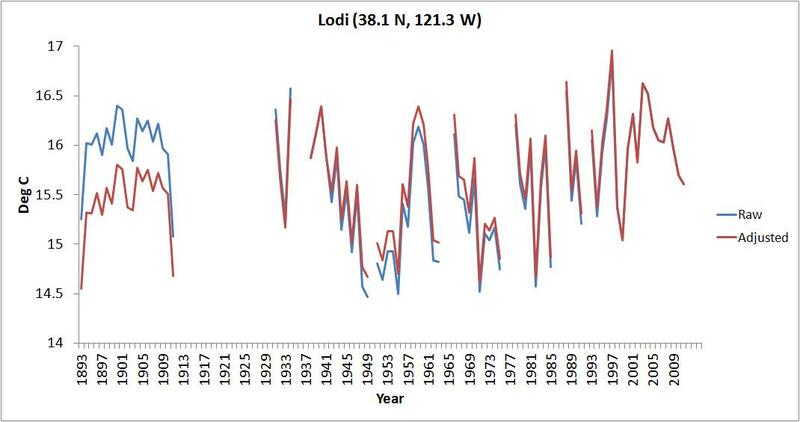 Using the GISS data, I’ve picked five  US temperature monitoring stations at random to demonstrate this “trick” the AGW cult uses and I’ll present both the raw and adjusted data in the following graphs. 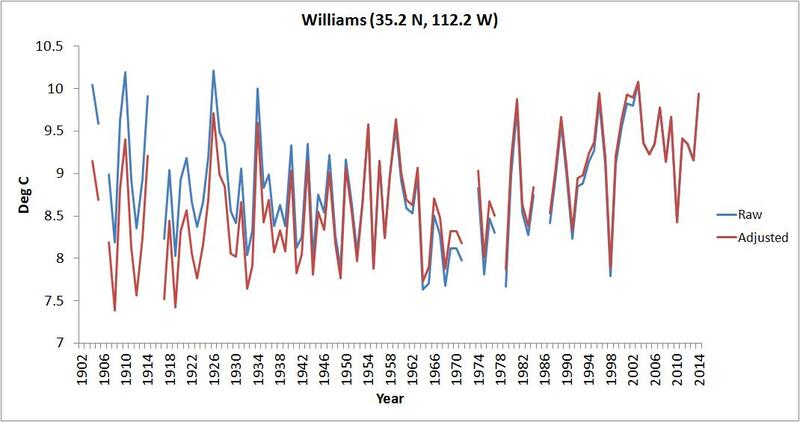 Did you notice how all the data adjustments were done to show cooling in the past and warming in the present? 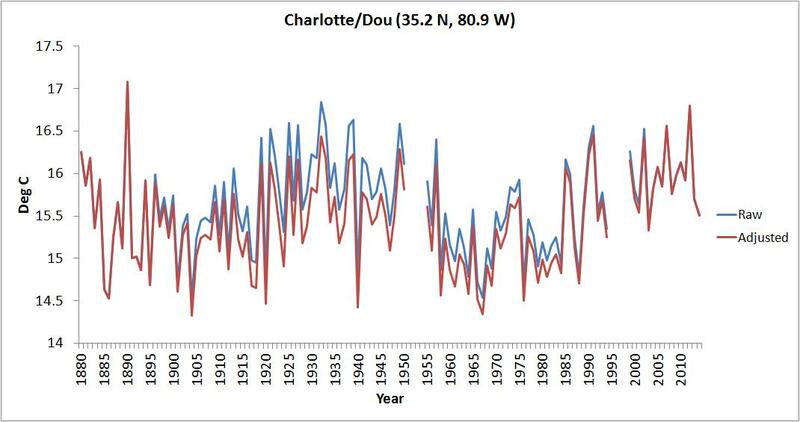 It’s amazing how much knowledge the AGW cult has of the way these weather stations measured temperatures 80 to 110 years ago. Just a co-ink-i-dink, I’m sure, Cosmo. C’mon, you don’t think Cult Of Gaia would do anything so base as to LIE about these “facts”, do you??? Some of those analysts might even have future career at Treasury or the Fed…. 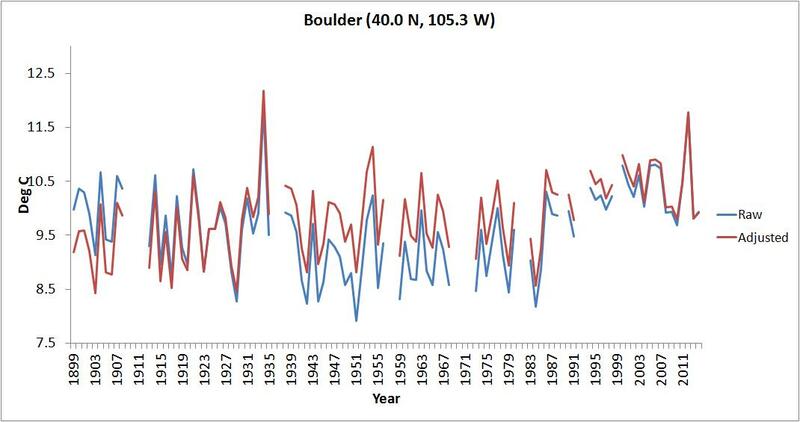 if the AGW cult should crumble.If they can put lipstick on this pig, well….